Hop Kiln Winery dates to 1976, and many current well-known winemakers learned their craft at this venerable winery. 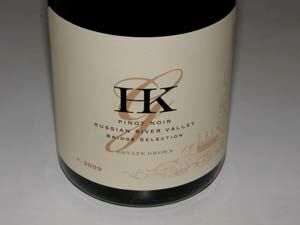 Proprietary blends, bottled under the Hop Kiln label (Thousand Flowers and Big Red) make up a large part of Hop Kiln's production, but in 2004 a line of ultra premium estate grown wines were introduced under the HKG (Hop Kiln Grown) label including an estate Pinot Noir. Most of the 248-acre property was replanted with Pinot Noir (44 acres), Chardonnay (16 acres), and Pinot Grigio (6 acres) starting in 2009. The vineyard manager is David Smith. All HKG production will come from estate fruit. The winemaker is Chuck Mansfield who has a degree in enology and viticulture from Cal Poly and studied advanced viticulture in Australia. The tasting room at 6050 Westside Road in Healdsburg is open 10:00 to 5:00 daily. The wines are sold online. A tasting room is open Thursday-Sunday in Glen Ellen.